Marc Garneau was the first Canadian in space and also happens to be living in the same city as us. 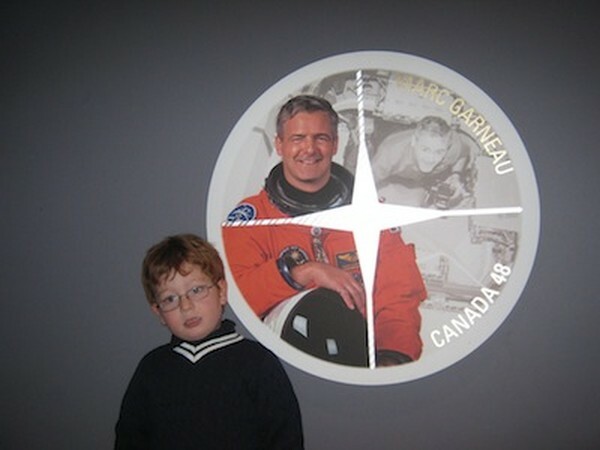 Even though we never met him in person, when my son's passion towards space grew, I decided to take a chance contact Mr. Garneau and ask him for an interview. To our pleasant surprise he was willing to take the time and reply to my son's questions. Seems that when it comes to kindness, the sky is the limit for this astronaut. All the questions below were dictated by my son who just turned five years old. Were you the first Canadian in space? Did you see any aliens in outer space? 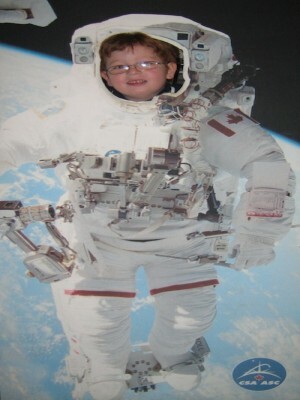 How did it feel like in outer space? Floating in space is a lot of fun because you can walk on the ceiling. Did you see planet earth from outer space? What does it look like? Is it big? Yes, I saw planet Earth. I went around it 450 times. What did you eat when you were in space? My favorite food in space was shrimp cocktail, barbecue beef and vanilla pudding. How did you go to the bathroom in space? The Space Shuttle toilet is very special because of the fact that everything can float. Did you see other planets and stars in outer space? Yes I saw other planets and stars. They looked the same way as they look from Earth on a clear night. Did you see other shuttles when you were in space? Did you have a race? There has never been more than one space shuttle in space at any given time. But there are also satellites and a space station. How long did you study and practice before you became an astronaut? I went to University and after that I trained for four years.